On her short car journey to work, Mary Minchin often had to stop her car three or four times and pace up and down on the road to fight a sudden desire to sleep. On other days on her drive home, she would ‘get lost’ and end up driving in the wrong direction. “At first, I thought I was just exhausted but soon I felt something was very wrong,” she said. Sleep at night brought her no solace as terrible nightmares and hallucinations tormented her. During her waking hours, seizures would cause her to lose control of her body and she would fall down, unable to move though still fully conscious. Mary Minchin was 57 when her life was “turned upside down”. She told the Sunday Independent she is one of around 100 people in Ireland who suffered serious health problems after being inoculated with the swine flu vaccine, Pandemrix, around a decade ago. These were ‘the unlucky ones’ out of the large number of people who received the vaccine with no ill effects. Around 80pc of suspected victims of Pandemrix were children and adolescents. Many are afflicted with narcolepsy — a long-term neurological disorder which causes sufferers to fall asleep suddenly as well as cataplexy, sudden muscle weakness causing people to collapse while remaining conscious, typically triggered by emotions such as laughing, crying, or fear. Mary’s devastating symptoms of narcolepsy and cataplexy began in the weeks after she was given the Pandemrix vaccine in January 2010. She was diagnosed with these two linked conditions by a medical consultant a few months later. Pandemrix was later withdrawn from use after studies showed higher than normal rates of adverse reactions, including potential links to narcolepsy. “I am pleading with Health Minister Simon Harris, the Government, and the HSE to stop resisting the efforts of victims who are trying to get funds in compensation to pay for the care we need,” said Mary. Like many others who testify that they were afflicted by devastating side-effects, she is suing the State, the Minister, and the makers of the vaccine GlaxoSmithKline (GSK). Mary wants to raise public awareness of these medical conditions and what happened to those who had adverse reactions to Pandemrix. Mary and Richard said they acknowledge the importance of health vaccination programmes generally but there must be justice to provide care when harm is inflicted. Mary (65) lives on her family farm near Leighlinbridge, Co Carlow. A mother-of-four, she had worked for the HSE and the Irish Wheelchair Association by providing personal care for ill people in their own homes. She did the job from 2004, until forced by her illness to quit in 2010. Mary said she was strongly advised by the HSE that she should get the swine flu vaccine because she was a health worker visiting vulnerable patients, but she was not warned of side effects, she said. None of her colleagues suffered the devastating side effects that struck Mary. A normally healthy woman, who was happy to volunteer as secretary of the County Carlow Irish Farmers’ Association, her life deteriorated dramatically. But Mary soon began to be overwhelmed by sleep while at work, during social occasions, while driving or at home. On one occasion, she was taking notes at a work meeting but was embarrassed to discover she had written nothing only indecipherable “scribbles”. At night, she was beset by hallucinations and terrifying nightmares. Her husband John, who died two years ago, was very upset by her night distress. She still suffers nightmares. With her diagnosis in 2010, she had to give up work and give up driving after narcolepsy severely impaired her abilities. She was given an invalidity pension and a medical card. She has collapsed on a number of occasions while out shopping, resulting in ambulances being called. At home, when she feels she is going to be overwhelmed by tiredness or weakness, she will swiftly lie down on a couch. Although she is on several medications, she cannot be left alone for long periods. Her four adult children share in the care of their mother. She can no longer socialise because of the likelihood of her collapsing. Her solicitor, Lucan-based Elizabeth Howard, told this newspaper her lawsuit seeks to address the terrible suffering being endured by Mary. 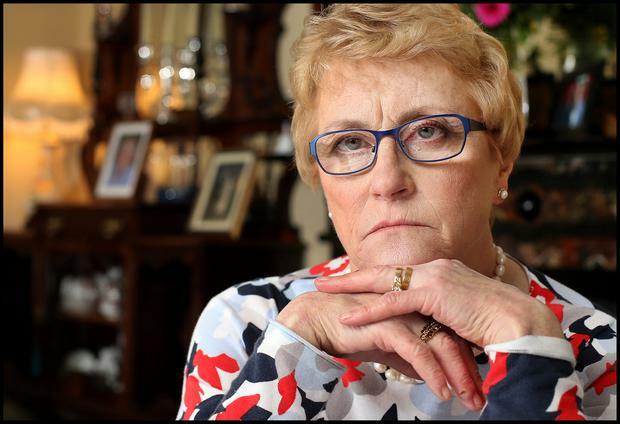 The lawyer said the State should introduce a ‘no-fault’ tribunal to allow payments to fund care of the victims. The State should end its adversarial approach which forces victims to seek to prove negligence on the part of the State, she said. The State indemnified the pharmaceutical company against legal actions as part of routine preparations before the vaccines were distributed. Ms Howard said she will wait for the outcome of legal proceedings being taken by another law firm, Augustus Cullen Law, on behalf of one of its clients with narcolepsy, which is due to begin in the High Court next October. A spokesman for Augustus Cullen Law said the State and the vaccine makers continue to deny liability, and even deny that the vaccine increased the chance of developing narcolepsy, despite such a link being acknowledged in the scientific and medical community. In 2015, a British court awarded £120,000 to a 12-year-old boy after ruling he was left disabled by narcolepsy caused by Pandemrix. An Irish group named SOUND — ‘Sufferers of Unique Narcolepsy Disorder’ — said the State is “morally bound” to provide children and adults damaged by Pandemrix with lifelong care and support. Orexin/hypocretin in the human brain acts as the regulator of sleep, wakefulness and appetite. SOUND claimed Pandemrix caused the immune system of sufferers to mistake orexin/hypocretin in the brain for the swine flu virus, causing the hypocretin to be “decimated”. Glaxo’s Pandemrix Vaccine Causes Narcolepsy And Cataplexy In 7 year Old..
On 10 December 2009, seven-year-old John was given a vaccination called Pandemrix against the pandemic influenza A (H1N1), commonly known as Swine Flu. Four months later, following extensive hospital examination he was diagnosed with narcolepsy and cataplexy, neurological conditions that will affect him for the rest of his life. Narcolepsy is a very rare and incurable autoimmune sleep disorder caused by the destruction of the part of the brain that produces hypocretin, a peptide that regulates sleep. Sufferers regularly experience episodes of drowsiness or excessive daytime sleepiness. Cataplexy is a condition characterised by sudden, profound muscle paralysis, the onset of which takes several seconds, and often results in the sufferer collapsing. These conditions may also be associated with hallucinations, behavioural and mood disturbance, as well as nightmares. John, now 14, experiences all of these symptoms. Although millions of people in the UK received Pandemrix without complications, the 2009-10 pandemic vaccine has been found to have caused an epidemic of narcolepsy in the UK and in other European countries in which it was used. About 1,500 people across Europe are thought to be affected, of which about 100 have so far been identified in the UK. John, not his real name, is one of them. Last month, the High Court heard an appeal from the Department for Work and Pensions (DWP) against a test case decision forcing it to pay £120,000 vaccine injury compensation to John. In January 2012 he applied to the DWP for compensation under the Vaccine Damages Payments Act 1979. The claim was initially refused on grounds of lack of a causal connection between the vaccine and John’s development of narcolepsy and cataplexy. A few months later, a medical advisor to the government’s Vaccine Damages Unit said that there was, in fact, likely to be a causal connection, but that John’s condition had improved and his level of disablement was less than 60 per cent – the threshold required to meet “severe” disability criteria for awarding compensation. He was denied payment. On 11 February 2014, then Secretary of State for Work and Pensions Iain Duncan Smith reversed his refusal decision of two years earlier, accepting that the vaccine had caused John’s narcolepsy and cataplexy. However, Mr Duncan Smith refused to accept that John was severely disabled, and his application for payment was therefore refused. After John appealed the decision to the First Tier Tribunal, the DWP was ordered in September 2014 to pay out as it found his narcolepsy to be severe. The DWP refused and appealed to the Upper Tribunal, arguing that only problems John had now could be taken into account and not the future impact of his condition. In June 2015, the Upper Tribunal rejected the DWP’s submissions and dismissed their appeal. The DWP agreed to and paid-out the £120,000 compensation to John. However, it decided to go to the Court of Appeal, maintaining that the proper approach to assessment of disability is to ignore any aspects of the disability that may be experienced in the future. It is the first time the Court of Appeal is considering a case of vaccine injury compensation under the UK statutory compensation scheme. Its decision will be binding on all future assessments of disability brought under the 1979 Act. Payments were then fixed at £10,000. Now they are £120,000 per person, so with around 100 victims seeking compensation under the Act, the DWP will be faced with a £12m bill if it loses. At Thursday’s hearing Sir Terence Etherton who, as Master of the Rolls, is the second most senior judge in England and Wales, Lord Justice Davis and Lord Justice Underhill listened to the government’s case. Adam Heppinstall, representing the Secretary of State, said the principal argument is that it was “wrong in law” for the Upper Tribunal to conclude that assessment of an individual’s disability under the statutory scheme require’s a decision maker to take into account that person’s likely future disablement in addition to his condition at the time of assessment. He told the court other grounds for appeal centred on how someone is assessed as “severely disabled” and that the case raises “fundamental issues” which go to the heart of how all claims under the 1979 Act should be assessed and decided by the Secretary of State. George Peretz QC, representing John, told the court: “There is nothing ‘speculative’ about looking at the impact of that continuing disability on an 11 year old boy as he progresses into manhood, taking into account the additional opportunities and responsibilities which that transition in life brings with it. “As the Upper Tribunal rightly pointed out, the fact that injuries such as loss of a hand are regarded as amounting to 100 per cent disablement, and that, amputation of one leg at the knee is to be regarded as 60 per cent disablement, may be useful in providing a broad framework or starting point in assessing whether John’s narcolepsy with cataplexy amounts to 60 per cent disablement. Mr Peretz used the example of paralympian and double-amputee Oscar Pistorious, who is defined as “100 per cent disabled”, yet was still able to compete at the Olympic Games. Sir Terence said that it was obviously an important matter – not just for John and his family, but for the 30 outstanding cases waiting on the result. The judges reserved their decision. Pandemrix: Another GSK Drug Scandal “As Big As Thalidomide”? 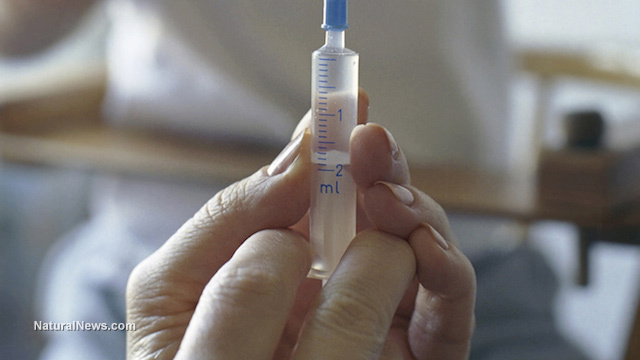 Campaigners are calling for a Europe-wide public inquiry into how a vaccine triggered devastating health sleep and brain disorders in a scandal they claim is as big as thalidomide. Almost 1,700 people suffered narcolepsy after being vaccinated for swine flu. They are vowing to continue their fight for justice at the European Union. The group of Europeans, including nearly 100 Britons, are calling for a public inquiry after suffering the debilitating disease which was triggered by use of the Pandemrix vaccine to treat the 2009/10 swine flu outbreak. Narcolepsy is a rare neurological condition that affects the brain’s ability to regulate the normal sleep-wake cycle. This can lead to symptoms such as disturbed night-time sleep, excessive daytime sleepiness and cataplexy – the term given to sudden muscular weakness triggered by strong emotions such as laughter, anger and surprise. As a result, narcolepsy is often thought of as a sleep disorder, but its underlying cause means that it is better classified as a disorder of the central nervous system. British families have been denied compensation from the Department of Work and Pensions under its compensation scheme as the Government does not recognise the condition as a “severe disability”. Representatives of national narcolepsy groups from the UK, Ireland, Sweden, Finland, Denmark and Norway, and parents of affected children, met Vytenis Andriukaiti, EU commissioner for health and food safety, in Brussels in December. They pressed him for recognition of the incident, and a public inquiry into lessons learnt for future pandemics. The group also called for the introduction of vaccine injury compensation standards across the EU, as there is a wide disparity in statutory vaccine injury compensation methods. They also called for clarity surrounding funding for research into treatment. While the vast majority of Pandemrix recipients had no adverse effects, there are now 1,698 adults and children across Europe registered in the EU database of adverse drug reactions who have developed narcolepsy following use of the H1N1 vaccine. While GlaxoSmithKline (GSK), the maker of Pandemrix, has acknowledged the link, and some patients and their families have been awarded compensation, how the vaccine triggered the condition is unclear. Peter Todd, a solicitor who represents 88 injured people, compared the situation to the thalidomide scandal of the late 1950s and early 1960s. “Everybody is aware of thalidomide, but I think Pandemrix/narcolepsy is a bigger incident because the EU’s database has 1,698 people registered – and that’s a passive surveillance system,” he told i. “While there were hundreds of cases of birth defects caused by thalidomide, most cases involved shortening of one limb. I know that there were a few cases of multiple limbs shortening, but most cases were one and overall, if you weigh it up, it’s broadly comparable. Yet it doesn’t have the same public recognition. Narcolepsy is incurable and sufferers have a lifetime of managing the symptoms. Claire Crisp’s daughter Mathilda is one of the children affected following her swine flu vaccination. She began suffering extreme night-time sleep disturbance within two weeks of the vaccine and subsequently developed cataplexy. Within two months Mathilda, now 10, needed round-the-clock care. “Mathilda was eventually diagnosed with narcolepsy with cataplexy,” Ms Crisp, 46, told i from the family home in California, where they felt compelled to go to seek help. “What followed was a year of battling for effective treatment whilst Mathilda continued to deteriorate. “My husband looked for a job in California, which was not in our life plan, but we were desperate as carers, as a family, and convinced that if Mathilda didn’t get the treatment she needed, she would lose her childhood. Ms Crisp has written a book on her family’s trauma called Waking Mathilda – A Memoir of Childhood Narcolepsy, to be released this spring. The 2009 swine flu panic has prompted more than 60 million people to get vaccinated against the disease. Unfortunately, thanks to the damaging effects of the vaccine, countless numbers of individuals have now developed a range of health problems, including sleep disturbances, memory impairments and even brain damage! Pharma corporations, of course, are always quick to deny allegations against the damaging effects of vaccines. Last year, however, Big Pharma’s protective cloak seemed to have slipped quite a bit, as pharmaceutical giant GlaxoSmithKline (GSK), the manufacturer of the swine flu vaccine Pandemrix, was ordered to pay about $60 million in damages to the UK government after it was determined that Pandemrix played a significant role in causing brain damage to several individuals. “There’s no doubt in my mind whatsoever that Pandemrix increased the occurrence of narcolepsy onset in children in some countries — and probably in most countries,” says Emmanuelle Mignot, a sleep disorder specialist from Stanford University. Despite numerous evidence linking health problems to Pandemrix, GSK continued to turn a blind eye on the allegations against it. Even when, in 2011, the European Medicines Agency issued a warning stating that people under 20 should refrain from getting the vaccine, GSK remained mum. Thankfully, all hope’s not lost for those who have long suffered from Big Pharma’s neglect. After last year’s ruling against GSK, more and more vaccine victims have now been getting their rightful reparations. Take the case of ten-year-old Josh Hadfield from Somerset, England. After being given Pandemrix in 2010, Josh developed narcolepsy, a rare neurological condition causing excessive drowsiness, and cataplexy, a condition causing abrupt temporary loss of muscle function. After years of hurdling through the initially uncooperative stance of the UK government, just this year, Josh was awarded £120,000 in damages for his ordeal. While, of course, monetary compensation would not be enough to totally indemnify numerous families for their vaccine-caused suffering, the recent ruling against GlaxoSmithKline definitely is a positive step towards eventually beating the Big Pharma vaccine monopoly. Apart From Dealing With The GSK Global Bribery Scandal… What Will GSK Do To Help The Narcolepsy Sufferers Damaged From Their Pandemrix H1N1 Swine Flu Vaccine? They usually get away (scot-free) with damaging the public with dodgy, ineffective, defective and dangerous drugs and vaccines..
1 of 13. Emelie Olsson falls asleep as he watches television in her apartment in Stockholm, January 17, 2013. Emelie is one of around 800 children in Sweden and elsewhere in Europe who developed narcolepsy, an incurable sleep disorder, after being immunised in 2009 with the Pandemrix H1N1 swine flu vaccine made by British drugmaker GlaxoSmithKline. Picture taken January 17, 2013. Terrifying hallucinations, aggressive behaviour, and threats of self-harm – the nightmare of narcolepsy has devastated the life of Dublin schoolboy Alexander Donovan. The nine-year-old must take a 20-minute nap in school each morning at 10am, and another 30-minute doze in the afternoon when he returns to the family home in Rathgar. Her son, she says, can no longer find the energy for the sports he once adored – while other boys of his age are out kicking footballs and getting into mischief, his mother says all Alex wants to do is sit on the sofa. Once an active, outgoing child, who was full of energy and had lots of friends, Alexander has become quiet, lacking in energy and unable to participate in activities with his pals. He pushes himself to do Cub Scouts and plays hockey once a week at school, says his mum, but it’s a major effort. “He cannot go on public transport on his own – he has to be with someone or he will fall asleep,” she reveals. Alex was just five years old when he received the Pandemrix vaccine (for swine flu) in January 2010. His mother, father Ray and older sister Eleanor were also vaccinated. About three months later, at the beginning of April, Lawless, a bank manager, started to notice that Alex was falling asleep at odd times – even on very short car journeys. She brought him to the family GP. Blood tests showed only a slightly lowered iron and white blood cell count. By mid-May there was no improvement. Still falling asleep at peculiar times, Alex was now also enduring horrifying nightmares. “He became very scared of the dark and said he was seeing things – and it started to get a bit scary. “He was sleeping for up to three hours in the afternoon after coming home from school. He’d become very aggressive and irrational after waking up. Sometimes he’d start screaming while sleeping – but his eyes would be open,” she recalls. Alex, she says, repeatedly asked her why she couldn’t see the terrifying things he was seeing. She later discovered that her child was having what are called hypnogogic hallucinations which is a symptom of narcolepsy. “You’re effectively awake, but still dreaming and not distinguishing between dream and reality,” Lawless explains. More consultations and tests followed, but by February 2011 Alex put on a lot of weight – another symptom of narcolepsy as Lawless was to discover. A formerly slim child, Alex, now aged nearly six, was wearing trousers for a nine-year-old. At one point Lawless did suggest the possibility that Alex had narcolepsy but was told that this was extremely rare in children and that she should rule it out. The tests continued, but nothing showed up. His energy levels plummeted. “He had to give up the Gaelic football, because he was too tired and emotional for it – and he was not able to play games with his friends. It was an horrific time,” she says. “Alex was acting so out of character that we knew there was something going on. At times he’d have been behaving like somebody possessed; he was so aggressive, argumentative and irrational in the afternoons. Then, in March 2011 the breakthrough came – another mother showed Lawless a newspaper article about a girl who seemed to be displaying similar symptoms. Things moved very quickly after that – following more tests Alex was officially diagnosed with narcolepsy in August 2011. In 2011, Lawless joined other parents in establishing the organisation SOUND, (Sufferers of Unique Narcolepsy Disorder) which supports families affected by narcolepsy and also received the Pandemrix vaccine. There are currently more than 60 such families in the group. It’s now believed more than 70 children in Ireland developed narcolepsy after receiving the swine flu vaccine. The group successfully campaigned for supports to be put in place for the affected children, though Lawless emphasises, these are on a temporary basis. The medication is very expensive – the night-time medication alone can cost up to €25,000 a year, she says. “In addition to that, we organised for the children attending to be assessed for education needs – there is now an allowance for extra tuition,” she says. Health Minister James Reilly recently detailed the services being provided to people with narcolepsy following pandemic vaccination, but Lawless says these have not yet been confirmed to SOUND as permanent supports: “These are not permanent and there is a concern that they could be withdrawn at any time,” she says. She also questions the minister’s interpretation of research carried out by renowned US narcolepsy expert Dr Emmanuel Mignot. Referring to a paper by Dr Mignot, which was published online in October 2012, Mr Reilly said that in the majority of narcolepsy cases, appropriate medication and lifestyle modifications could see functioning restored to about 80pc of normal. According to Dr Mignot, a return to close to normal functioning was possible in about 80pc of cases through a combination of lifestyle changes and pharmaceutical treatment tailored to each individual. His study advised that many patients with narcolepsy benefited best from combined drug therapy and behavioural modifications – scheduled napping one to three times a day, for example, while certain drug treatments had found to be of benefit to patients. “The issues we have with the minister’s interpretation is that the therapeutic treatments that are referred to by Mignot are not licensed/recommended for use by children,” she says. Referring to another piece of research published in December 2012 by experts at Stanford Medical Centre, with which Dr Mignot was also very closely associated, Dr Reilly said it indicated that narcolepsy was an autoimmune disorder, and that it was now possible to explore new therapies which may have more beneficial effects. However, Ms Lawless said SOUND believed that the fruits of the research referred to by the minister were “so far in the future” that the children would be grown up by the time such therapies were available. As a result, she believed they would be disadvantaged both educationally and career-wise. “As our children go through education, they face huge difficulty maintaining focus and concentration which in turn will impact on exam results. “We fear they will be discriminated against in job applications and employment due to their requirement to take naps and a propensity to lose focus/attention. Lawless also pointed out that although the research indicated that the majority could reach up to 80pc of normal function, that still left a sizeable number who would not reach that level of functioning. GlaxoSmithKline, the makers of Pandemrix said: “Patient safety is our number one priority and we are actively conducting research on the observed association between Pandemrix and narcolepsy and on the interaction this vaccine might have had with other risk factors in affected individuals. “Whilst people vaccinated with Pandemrix have been shown in several published studies to be more likely to develop narcolepsy than those who were not, further research is needed to confirm what role Pandemrix may have played in the development of narcolepsy among those affected. “Narcolepsy is a complex disease and has a number of different potential contributory factors. “The causes of narcolepsy are not yet fully understood but it is generally considered to be associated with genetic and environmental factors, including infections. “It is crucial that we learn more about how narcolepsy is triggered. “We remain committed to carrying out additional research into the potential role of Pandemrix in the development of narcolepsy.